The lists of the country’s brightest minds, as announced by the Finance Minister, includes Wits students.The list of the country’s brightest young minds, as announced by Gordhan, includes Wits students. Soon after the delivery of the budget speech the Minister of Finance, Pravin Gordhan undertook yet another important task – announcing the names of the country’s brightest young economists. Winners of the Nedbank and Old Mutual Budget speech Competition have been announced and Wits students have represented well in both the undergraduate and postgraduate category. Khethinkosi Dlamini and Maria Garanchu came second and third place respectively in the postgraduate category and Terry van Staden claimed third in the undergraduate category. Dlamini walked away with R60 000, Garanchu R25 000 and van Staden collected R10 000 at a gala dinner held on Wednesday, 27 February in Cape Town. The competition open to all economics students in South Africa challenges contenders to respond to an essay topic relating to the South African economy. Undergraduates had to pen a well researched essay responding to the question of whether the overall policy in the form of the newly released New Growth Path and the Industrial Policy Action Plan together with the budget support the development of small business in South Africa. Postgraduates had to provide an evaluation of the fiscal policy between 2008 and 2011 with a focus on investment, wages, efficiency and political risk. Click here to read the winning essays. An elated Prof. Judy Backhouse, Head of the School of Economic and Business Science (SEBS), says that she is delighted that Wits students are among the winners. “I’d like to congratulate them on their hard work and success. SEBS offers a rigorous programme in Economics and it is clear that this thorough preparation in the theoretical foundations of the discipline leads to excellent analyses on the part of our students. Of course the fact that we attract some really bright and creative students into our programmes also helps,” says Backhouse. 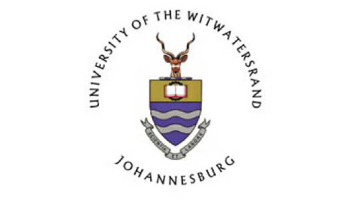 Overall Wits had six students shortlisted as part of the 20 finalists. The finalists were hosted by the sponsors for four days in The Mother City where they underwent panel interviews with the adjudicators of the competition. They were also in Parliament to hear the Minister deliver the 2013 budget speech. Van Staden got the opportunity to ask the Minister a question at the banquet to which he responded to in his keynote address. In the past four years, Witsies have twice won the challenge and many others have featured as finalists. Shaheen Seedat took the postgraduate title in 2010 and Tsepo Machele claimed the undergraduate prize in 2008. Click here to visit the official website of the Nedbank and Old Mutual Budget Speech Competition.